As apex predators, orcas can prey on whichever marine animal they choose—large or small. During a recent expedition off the coast of the Kamchatka Peninsula, scientists captured rare footage of orcas attacking a 40-foot-long minke whale. Fair warning, people—this footage is graphic and disturbing. They’re called “killer whales” for a reason, and this clip is a potent reminder as to how these aquatic carnivores earned their name. 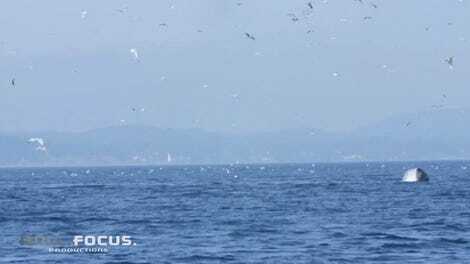 As reported in RT, scientists with the Far East Russia Orca Project (FEROP) recorded the encounter while surveying an area off the Kamchatka Peninsula with Team Trip, a partnership between FEROP and the Kosatka Cruises tour company. 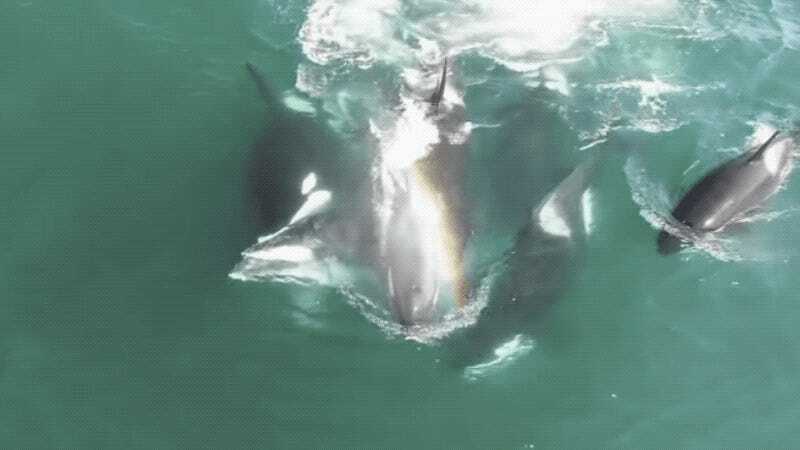 The video shows a pod of orcas chasing a minke whale to the point of exhaustion (typical orca hunting behavior), and then drowning it and ripping it apart with their powerful jaws. Initially, seven adult orcas participated in the hunt, with four joining later. Baby orcas were also involved in the carnage, said Ivkovich. Orcas are seldom seen in Kamchatka’s Avachinsky Bay, so the researchers are going to stick around for a couple more weeks in hopes of making further observations. When it comes to finding a meal, orcas don’t discriminate. In addition to hunting whales, these mammals are also known to feast on sharks and the odd seal.